Omni-channel platform Fynd on Thursday announced closing its Series C round of funding lead by investor Google, followed by an active participation from Kae Capital, IIFL, Singularity Ventures, GrowX, Tracxn Labs, Venture Catalyst, Patni family office and Hong Kong based Axis Capital among other angel investors in the round. Earlier in April 2017, Fynd raised funds led by IIFL with participation from New York based FJ Labs and Silicon Valley-based Rocketship among other participating existing investors. With 8,000+ outlets on board, Fynd's unique proprietary inventory integrations enable customers to discover fashion in real-time and know the exact specifications of the products available. "Fynd is growing steadily and has managed to seal some exciting partnerships in the past few months. Our vision is to revolutionize the online and offline shopping experience across all channels and customer touch-points. We expect that the capital raised will help us further bolster our growth trajectory," said Fynd co-founder, Harsh Shah. 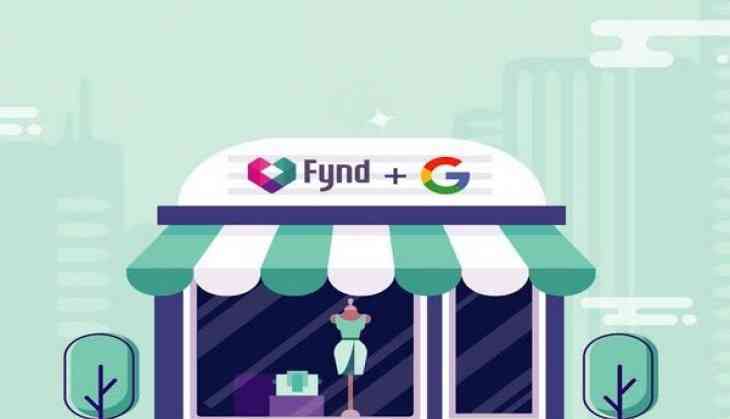 "Fynd has built an impressive, tech-first platform that has tremendous potential to scale within and beyond fashion and India," said Seema Rao, Head of Corporate Development - India, Google. Fynd's unique store-driven commerce approach, without inventory or warehouses, gives it a unique position in the marketplace," added Shah. "The Fynd team has consistently demonstrated their ability to listen to the market and build scalable products. They have shown impressive growth and are looking to capture a big opportunity in the O2O (offline to online) segment. We are super excited to have Google join the Fynd family and look forward to working closely to grow the company," said Venture Partner Kae Capital, Vidushi Kamani. Fynd's latest round of funding will enable the platform to further enhance the way it engages with consumers and retailers in a better way. The O2O platform directly sources products across various categories including clothing, footwear, jewellery and accessories, from the most prominent brands in the country (via their in-store inventory) and brings them online. Besides this, Fynd's in-store product 'Fynd Store' helps the brand stores save their in-store sales which otherwise are lost due to unavailability of the product.